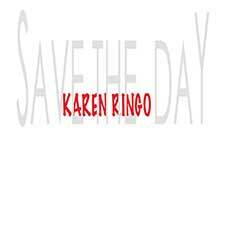 Karen Ringo says, “When people come to my show, I just want them to feel the music!” She gets a high from looking out into the crowd, and seeing the smiling faces, heads bobbing, and bodies rocking’ to the music. “It’s such an incredible rush!” For the past few years, Los Angelenos have had Karen all to themselves. Having played in some LA’s best-known venues, such as the Viper Room, Key Club, House of Blues, and the Hotel Cafe, to name a few, Karen now feels it’s time to spread her wings. She wants to reach out and let people in other cities and towns across the country, “fell the music”. 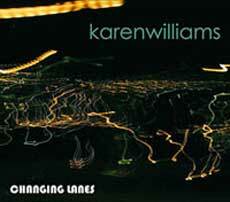 In 2004, Karen began her journey in Los Angeles as a singer/songwriter. After completing a Bachelor of Arts in Music at Emory University in Atlanta, she went on to earn a Masters in Music Education at the University of Souther California. It was then that Karen discovered that she got more pleasure from performing music than teaching music. She then studied music theatre for a few years while slowly finding her way as a songwriter. Coming from a classical background, Karen’s music began to develop. With her songwriting she began exploring elements of Jazz, Pop, and Soul, and as her sound was evolving, she was constantly performing. While at the time, she enjoyed the music that she was creating, she still felt, as an artist, she had not found her way. That all changed in 2008, when Karen fell in love with the music of Lenny Kravitz. This was a whole new world for her and musically, things began to click. Karen changed her direction. Rock n’ Roll! It was also around this time that she met her lead guitarist, Robbie Angelucci, who introduced her to the other players in her band: bass player Bjorn Fleuren, drummer Kal Drako, and guitarist Matt Szlachetka. The chemistry with the guys was incredible and the rocking’ sound that was born was amazing. That was when Karen knew she was finally “feeling the music”.